2 x 15 x 7.5. 2 x 15 x 9.5 pin circle 5 on 4.50 / 5 on 4,75. Front wheel backspace 3.65 . Rear wheel backspace 3.65. 4 x TR01 tri wing spinners polished. 20 x 1/2 x 20 lug pins. 4 x AC01 adapter safety clips. The above is a direct fit on Factory Five with pin drive width ,Hurricane .Unique,ERA (some) and others. These wheels look like new magnesium rims before the elements have gotten to work! The centers have a slight metallic glint in the sunlight that does not show up in the photos. 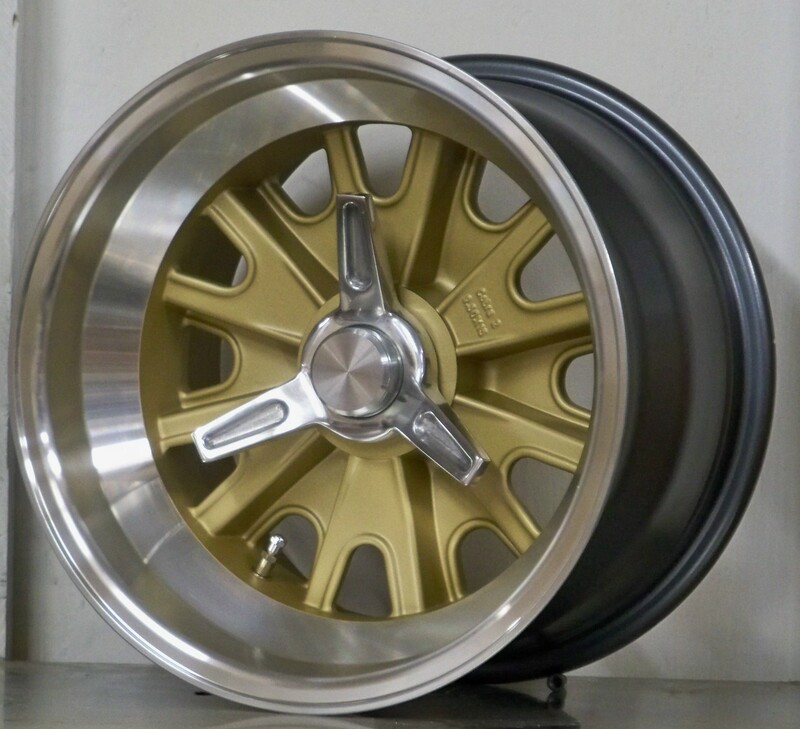 Please note the outer rims are machined polished to a sheen -not a hand polished high gloss.